Joseph Carey Merrick was born around 1860. His beloved mother died when he was 10 years old from Pneumonia leaving him in the care of his unloving father. Shortly after Joseph senior remarried a widow, Emma Wood Anthill with children of her own, thus Joseph junior entered a competitive, unloved existence. Crippled with his debilitating disease he was shunned and rejected. At 13 years of age he went to work in a cigar manufacturers until his disability stopped him from being able to roll the cigars. He then became a book salesman, a job he eventually lost as he was unable to keep to his targets. When he returned to his father he was subjected to the worst and most brutal thrashing of his life. He eventually ended up in the workhouse. To escape this hell he ended up as an exhibit in travelling shows as ‘The Elephant Man’. He had his own caravan which afforded him privacy and his travel companions and other exhibits befriended him and he had a degree of protection from his employer Tom Norman. Sadly this didn’t last, Joseph ended up working for a villain named Mr Ferrari who stole all of Joseph’s saved money and ended up abandoning Joseph in Brussels. Abandoned and penniless he eventually returned to England by pawning his few remaining possessions. On his return he was surrounded by an excitable, jeering crowd who all tried to get a glimpse of this alien man. Pushing and jostling him, he was terrified and cowered in the corner of a waiting room at the station. The police rescued him and took him to Frederick Treves at the London Hospital, who took responsibility of Joseph, offering him safety and care and eventually he became a resident there. 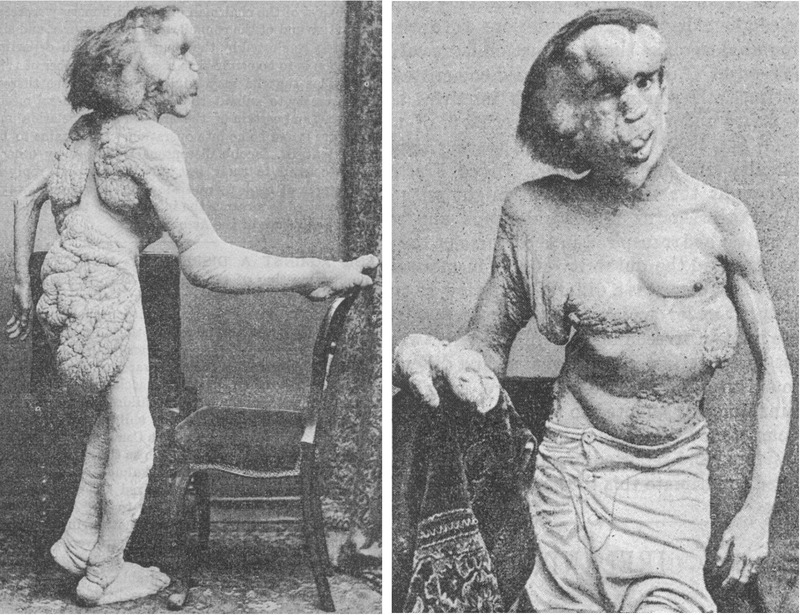 Joseph Merrick suffered from a disease called Proteus syndrome also known as Wiedemann syndrome, a congenital disorder. During the closing months of the Elephant Man’s life he was invited to stay on the Fawsley estate by Lady Louisa Knightley. Joseph left the London Hospital and boarded a private second-class railway carriage that had been moved to a private siding in order for him to board unnoticed. The carriage was then moved and attached to the train which travelled to Northamptonshire. Behind the closed blinds Joseph travelled away from prying eyes to the awaiting carriage which brought him to the Fawsley estate. The original plan had been that Joseph was to stay as a guest in a cottage of an estate worker, but unfortunately the wife of the estate worker was so shocked and frightened by his appearance that alternative plans had to be arranged and he then went to the gamekeeper’s cottage where he was cared for by the gamekeeper and his wife. He spent 6 very happy and carefree weeks here, wandering freely through the fields and woods of Fawsley Hall. No-one bothered him and he enjoyed a normal existence, picking wild flowers, watching the wildlife, enjoying the beauty and tranquillity of the idyllic countryside. It was described by his friend, Frederick Treves as the ‘one supreme holiday of his life’. "Mother and I drove to Badby where two sad cases – poor old Powell dying of cancer in the face – and a young Billingham of consumption. Then on to Haycock’s Hill where Joseph Merrick, the ‘elephant man’ about whom there has been so much in the papers, has been boarded out for some weeks with the Birds." He came to stay again the next year as a guest in the home of the Goldbys at Edgcott. The following September 1889 he returned and stayed at Redhill Farm a farm situated about ¼ mile from the Daventry to Banbury road, now the A361. On this stay he made friends with a local man called Walter Steel who called in daily to collect and post any letters for Merrick. He remembered Joseph Merrick as a well-educated and interesting man who wrote numerous letters and enjoyed reading poetry and took delight at the natural world. Sadly the following year on 11th April 1890 Joseph Merrick passed away. It was believed that the cause of death was from asphyxia, as he was found lying on the bed on his back. Joseph could only sleep in an upright fashion due to the weight of his head. He always wanted to sleep ‘like other people’. He died suddenly and without a struggle. He was 27 years of age. "I see in today’s paper that poor Merrick, the ‘elephant man’, is dead, passed quietly away in his sleep. It is a merciful way of going out of what to him has been a very sad world, though he received a great deal of kindness in it. Thank God – he was not unprepared. Now! He is safe and at rest." But blaming me is blaming God. I would be measured by the soul.